Flood prediction relies on knowing how high each and every spot within a country is. The better the so called “elevation data”, the better people and property can be protected from spring tides and flooding rivers. Unfortunately, most developing countries can’t afford accurate and recent datasets, leading to a lot of unnecessary damage and even deaths. All4Elevation aims to change this. The start-up just signed on to ESA BIC Noordwijk. All4Elevation wants to provide accurate and affordable elevation data by combining smartphones, satellite navigation and the power of the crowd. The team is developing an application that turns smartphones into “smart sensors” that can measure elevation. The collected and improved data will be offered as a service to public and private organisations with a pricing model accounting for the accuracy, timeliness and application of the data. Managing director of All4Elevation is Alexander Gunkel, whose 5-year goal is to help save 3000 lives, protect 3 million houses and avoid €3 billion in damages. 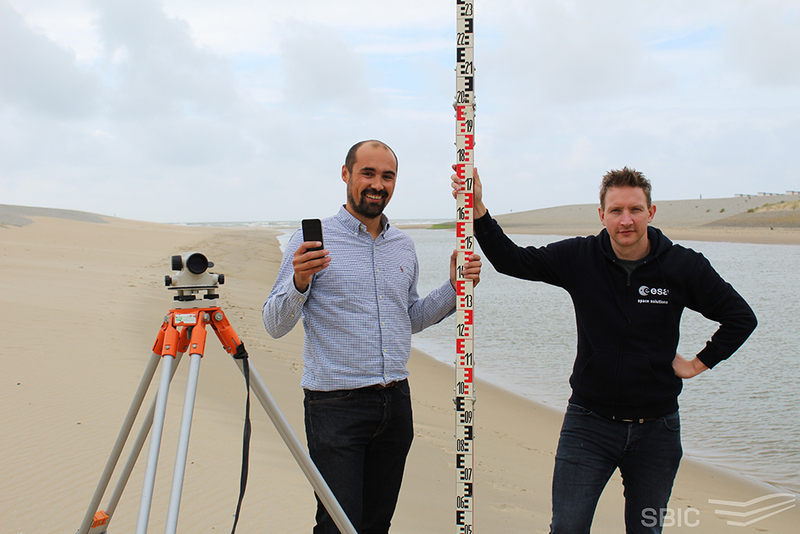 Co-founders of the company are Ingrid van Namen and Jeroen Derriks, who together won the Dutch regional prize in the European Satellite Navigation Competition in 2016 with their idea.